Business owners, have you Googled yourself lately? If not, do it now. Go on, type in the name of your business and see what comes up. If the name of your business is Joe’s Garage, then your search will likely bring up Joe’s car repairs (Cardiff), Joe’s Auto Body Care (Chester), Joe’s Automotive Ltd (Towcester), Joe’s Car Repairs (North East) and perhaps also a smattering of like-named businesses in America. Which business is yours, and how do you get people in your area to come to your shop and not to some other Joe who does auto repairs? Keyword Research Your target audience is searching online with specific keywords and key phrases that are relevant to your business, whatever that may be. You need to know what those keywords and key phrases are, and Internet marketing companies have the ability to research that information for their clients. Tap into that resource. SEO Rankings The major search engines rank websites, in part, according to how prominently certain keywords figure in the website’s content. More specific keyword searches will set your business apart from the competition and result in higher rankings, which translates to greater visibility for your website and, ultimately, more sales. Social Media Yet another opportunity for enhancing your online presence is through social media. If you already have a website, then you should also have a Facebook page and Twitter feed. Even businesses with stale websites are able to keep in touch with current and prospective clients by posting and Tweeting on a regular basis and interacting with their target audience. If you know which keywords your clients are using to find businesses like yours, then it pays to make use of them in your posts and elsewhere. Best of all, your Facebook page, Tumblr account and whatever else you’re using to stay in touch with clients get their own separate rankings in search results. In other words, one can keep you front and centre even when the other does not. As impressive or even overwhelming as they may seem, these considerations are simply scratching the surface when it comes to Internet marketing and SEO. Direct Submit Internet Marketing Services can do all this and much more to increase traffic to your website and generate interest in your company. Direct Submit works with businesses of all sizes to develop effective SEO marketing campaigns that deliver lasting results. Let Direct Submit show you just how profitable your company can be. 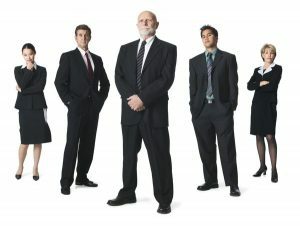 Many people find that they are stuck within roles that they have been in for too long due to a lack of openings within their current company even if they are capable of performing at a much higher level but the amount of time it takes to find an alternative role and attend interviews off-putting so they become disheartened and remain unsatisfied in their roles, however others choose to use the services of a recruitment agency to help them find their next career opportunity. If you feel over qualified for your current role, stuck in a rut and ready for a new challenge maybe it’s time for you to consider taking a step up the ladder to middle management and start looking for a new job so why not contact a specialist recruitment agency and find out what they might be able to offer you? Generally signing up is a simple and straightforward process and they will start looking for your next role in middle management straight away, making sure that they match you to roles that will really make the most of your skills. One of the major benefits of using a recruitment agency to help you with your search is that they will often have good working links with many existing clients so will have the chance to fill many new roles before they are advertised elsewhere, another great advantage is because the recruitment agency will already have your cv and know your circumstances you won’t waste time looking into roles that won’t be suitable for you. Signing up with an executive recruitment agency is also a really good idea if you if you are just starting out, returning to work after a break or looking for a more flexible role with such a wide range of job opening becoming available with them daily it isn’t likely to be long before you are attending you first day in a new middle management position and possibly climbing the ladder sooner than you thought. Adding a luxury bathroom is an excellent way to really add a touch of luxury to your home. Whether you are totally refitting your bathroom, adding a new shower to an existing suite or creating a second bathroom within your home. At the North East P T Ranson showroom they have an excellent range of luxury bathrooms and high quality showers in a wide variety of designs ranging from the traditional to ultra-modern so you can be certain to find the perfect shower for any bathroom. If you love classic design but want all the advantages that modern technology can bring Imperial Showers have included some excellent showers within their collections that you are sure to love. 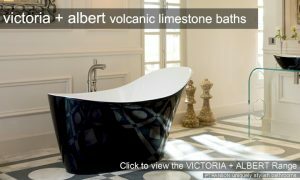 Made using the finest quality materials and some of the latest design techniques available you will be able to find a shower that looks great and offers high performance every time, you may also want to take a look at the rest of the available range and create a completely coordinated bathroom. For designs that are both stylish and unique you may want to consider taking a look at the great showers by Fiora Bathrooms and Showers. With all the features you would expect from a top quality shower and eye catching modern designs Fiora are the perfect choice if you want to make your shower a real focal point within the room and with a great range of other items within the range you can be sure to find some really stunning basins and other bathroom items to really help you finish the look. You will be sure to love the range available from Hansgrohe Showers if you are looking for a shower that is created using the latest design technology and offers you all the most up to date features available including great energy saving functions but still looks great. No matter what features you are looking for you can be certain that you with be able to find a Hansgrohe design that offers you exactly what you are looking for and with some really eye-catching designs available a Hansgrohe shower will be a welcome addition to any bathroom. So if you want to install a new shower in your bathroom why not get some inspiration from P T Ranson? Regardless of your tastes or the style you are hoping to achieve with such a wide range of top quality products you are sure to find the ideal shower for your bathroom. So why not call 0191 469 6999 or head over to the P T Ranson bathrooms website for some inspiration and start planning what you could do with your bathroom this year? With so many unique and high performance products on offer from some top bathroom design companies you can be sure that you won’t be disappointed. If you are finding that your business is finding it difficult to find work because of your lack of CHAS accreditation but aren’t sure how to achieve CHAS registration or have concerns about the costs involved or how long it may take, you may find that with the help of an accreditation service such as beAccredited if is far more affordable and easy to achieve that you may first imagine. Having CHAS accreditation proves to prospective customers that your company takes their health and safety obligations seriously and that you use the best working practises at all times, it can also help to open up a wealth of new jobs to you as many organisations require a contractor holds CHAS registration before they allow them to submit a tender including most public sector and many privately run organisations. You will also be able to significantly reduce the administration time required when tendering for new work as your CHAS registration can act a pre-qualification tool in many circumstances. The CHAS application process requires that you are able to produce the correct documentation and also have the required training programs in place at beAccredited they are able to help you identify any areas where you need a little help and close any gaps and also make sure that everything else is properly in place, so you can be certain CHAS will find you to be in accordance with their requirements, enabling you to complete the CHAS registration process smoothly and successfully. So if you would like some help and support to get your CHAS registration in place so your company can start to tender for bigger and better jobs why not get in touch with beAccredited to help you get started? With an easy to use online service available and reasonable rates that reflect the size of your company you may find that you hold CHAS accreditation fan more quickly that you would have thought, and with all the help and support you need at every step of the process you won’t need to worry about a thing from beginning to end. So if you want to help your business grow and want to be able to prove that your company takes health and safety seriously why not get in touch with beAccredited and take a look at how straightforward and affordable the process really is. As leading UK Health and Safety Consultants providing of online CHAS & SMAS Accreditation, Safe Contractor & Constructionline Accreditations, plus Builders Profile Accreditation and much more. With over 15 years of experience, clients include sole traders through to corporate clients. With a flexible and easy to access online service, very competitive fees and an expert knowledge in health and safety accreditation including CHAS registration across a range of industries at beAccredited they are always more than happy to hear from businesses, regardless of their size or the type of work they carry out and have all the knowledge required to make sure that you get the accreditation that is most suited to your company. They have helped 100s of businesses across the country by making the health and safety accreditation process hassle free, easy, convenient and reliable, allowing you to focus on the projects at hand. Visit their Health & Safety Consultancy services website to find out more about how they can help your business or call beAccredited today on 0845 2722350. 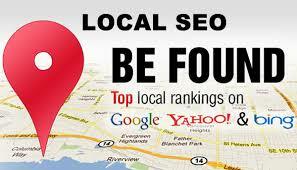 Direct Submit are an established Search Engine Marketing and Internet Marketing company. With over 95% of our business coming direct from client referral, we provide a cost effective and highly efficient service. We offer a client focused service, and always speak to our clients in a language they understand, helping them understand the Internet and how a successful Internet Marketing Campaign can benefit their business. Effective SEO Brings Your Business Traffic The better your website is ranked within the major Search Engines, the more potential visitors you will receive. It’s that simple… By optimising your website and then promoting it properly, your website can open the door for your business to new site visitors, which can equal new business enquiries and more sales. Direct Submit prides itself on the underlying process by which we approach each and every SEO project we are involved with. We understand that each client will have specific, individual needs and our approach in creating and implementing the correct SEO strategy is vital to the success of the SEO project. This approach and attention to detail is what has helped Direct Submit become a leading Search Engine Optimisation (SEO) company. Call us today on 0845 2722350 and get your website working harder for your business.